The reading bug bit me! If you read my last post, I wrote about skills students need to acquire in order to learn to read. Lately I've been working on several songs to help students with pre-reading skills in a fun way. 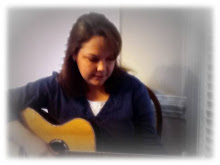 Today I'm posting a song that was adapted from an old nursery rhyme, "A tisket, a tasket". In this song, I focus on students learning that rhyming words sound the same. While singing this song, students select word cards (note cards cut in half or quartered are good sizes), from a basket. You can also make word cards with clip art representing each word as well. Each student takes a turn reading or sounding out their word (Remember-start simple. Word families are great for this! ), and the other students can listen and try to figure out if they have a word that rhymes with the word that was read. This activity could be repeated on different days so that students would have more practice with rhyming and reading the words. What songs do you use to help students learn to rhyme? I hope you have a great week and as always, thanks for stopping by!